We are the oldest florist in Atlanta, specializing in very unique and high-style floral arrangements. Gresham's Florist of Atlanta, Atlanta's finest florist has been a family-owned business since 1913. 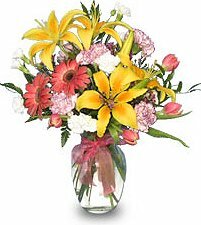 We stock an array of fresh cut flowers directly imported from Holland, Hawaii, France, South America and other parts of the world. Gresham's Florist is centrally located in Downtown Atlanta and serves all downtown and surrounding hotels, CNN Center, Americas Mart, Coca-Cola Corp., Georgia World Congress Center, all Metro Hospitals and Funeral Homes, and Downtown Atlanta business district. Because of our Downtown location, we offer courteous and professional delivery service three times a day. Our experienced designers can create floral designs that will complement any occasion to meet your budget and style expectations as well. At GRESHAM'S FLORIST OF ATLANTA, We Specialize in European, High-style, Exotic & Traditional Designs For All Occasions! 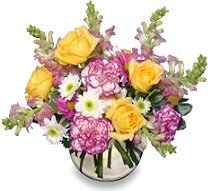 You can depend on us to help you choose memorial flowers that beautifully convey your expressions of sympathy and serve as a lovely tribute to the deceased. Our beautiful selection of high-quality flowers and eye-catching design styles are sure to bring rave reviews on your wedding day or at any festive occasion! Call our shop in advance at 404-522-3215 to schedule your consultation.